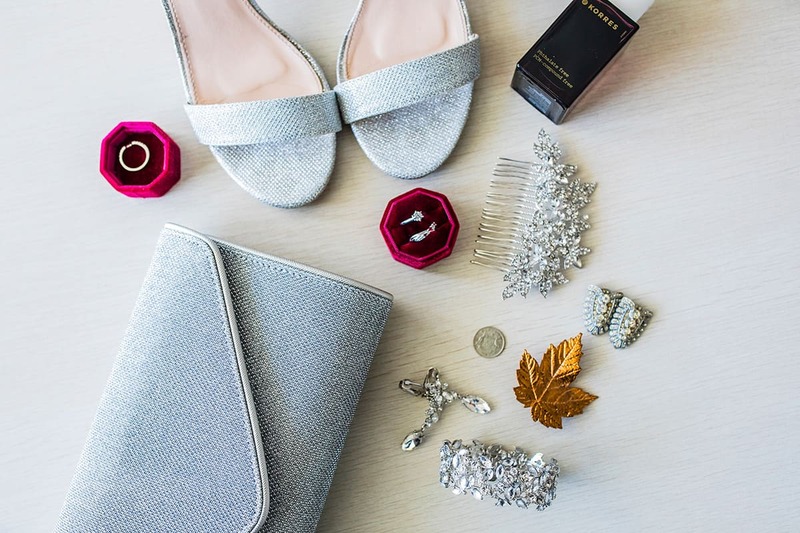 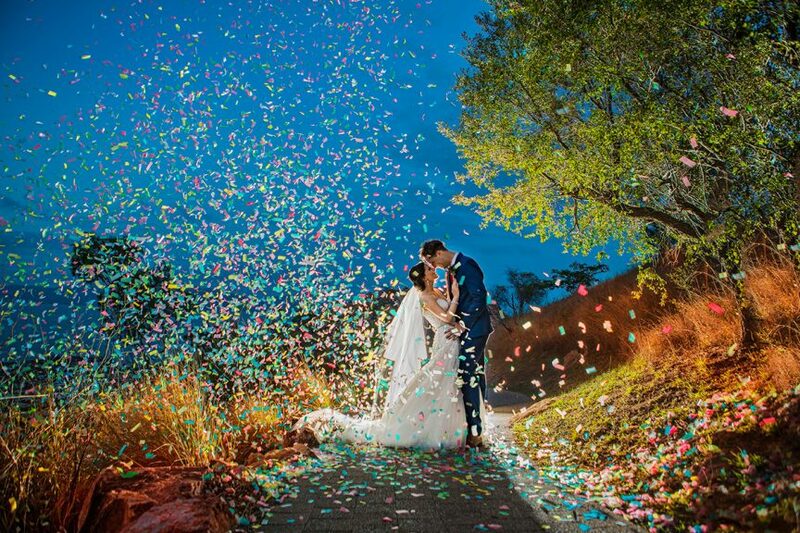 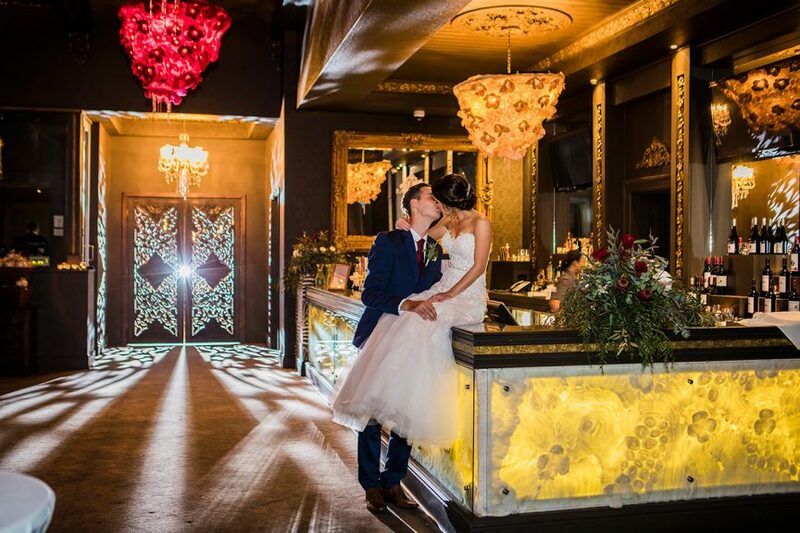 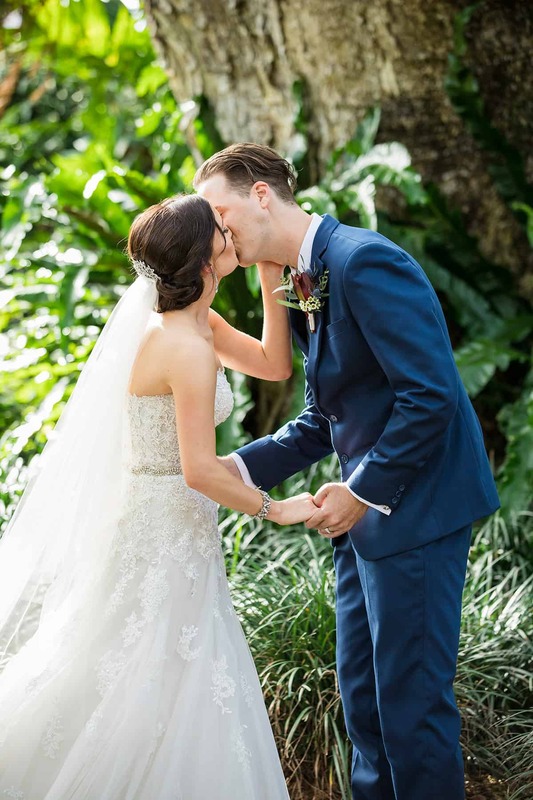 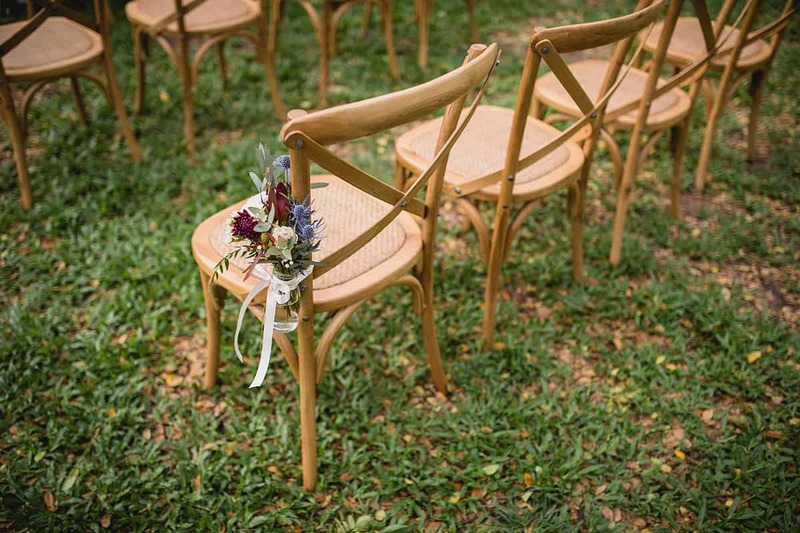 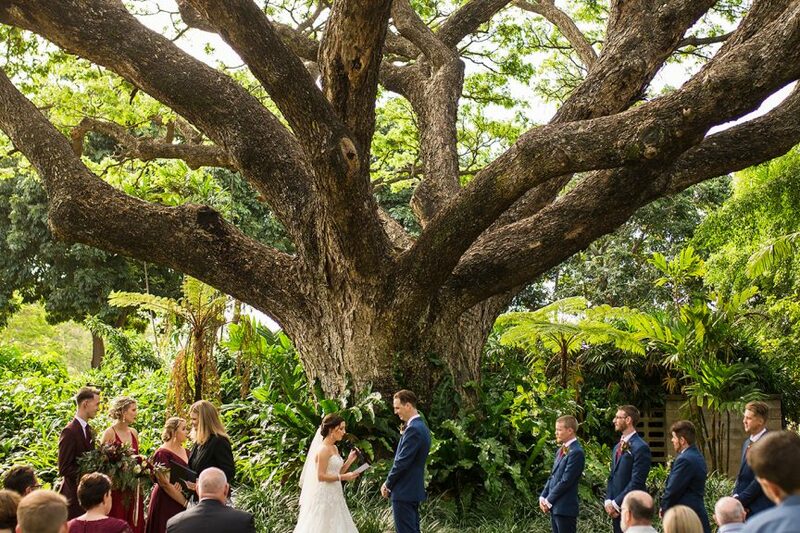 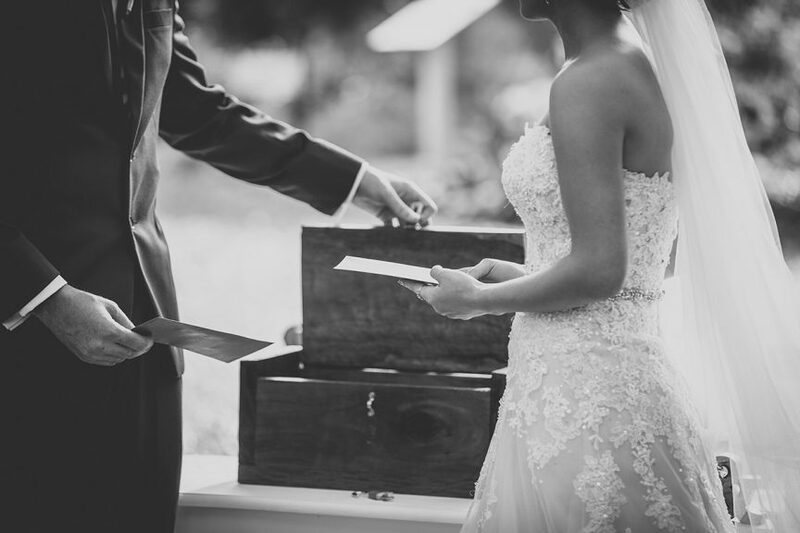 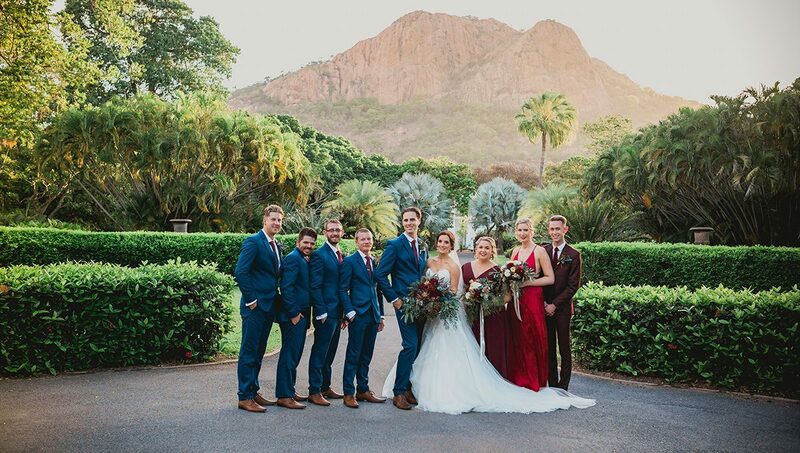 We’re crushing on the colour scheme of Tralisa and Scott’s Townsville wedding! 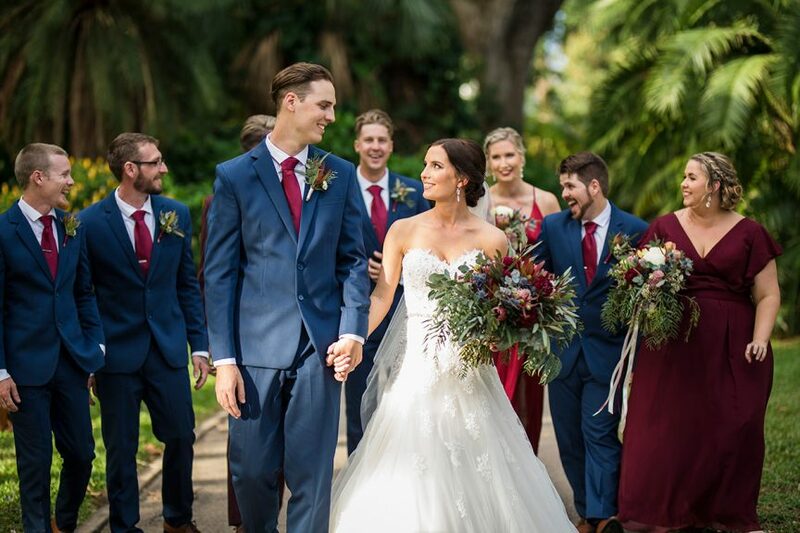 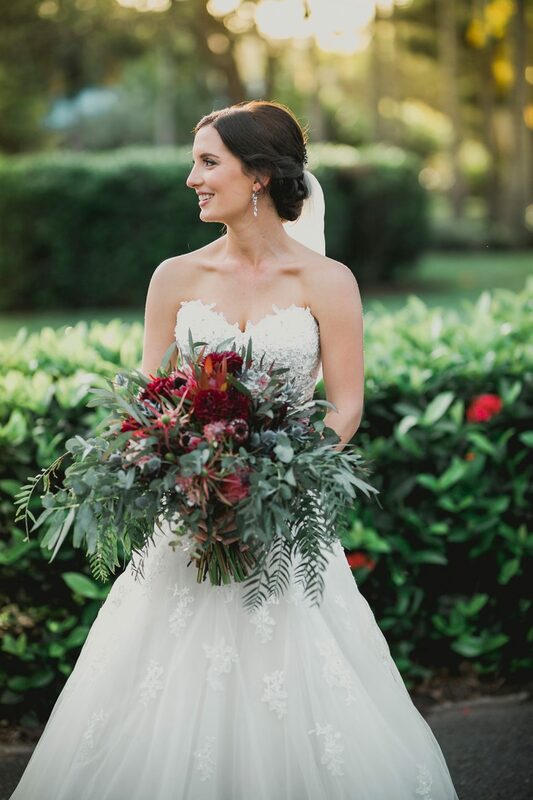 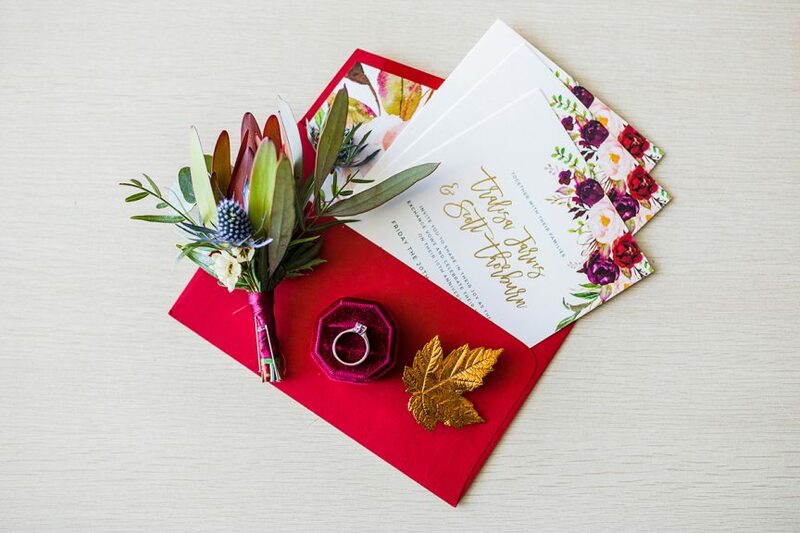 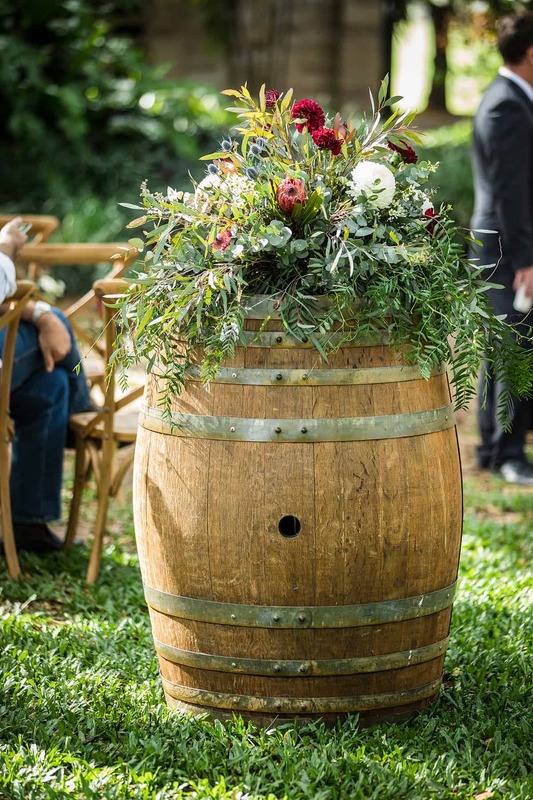 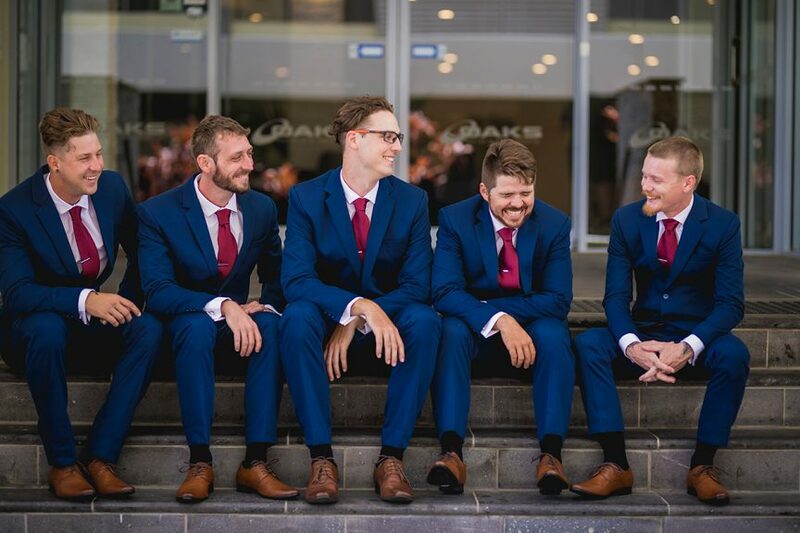 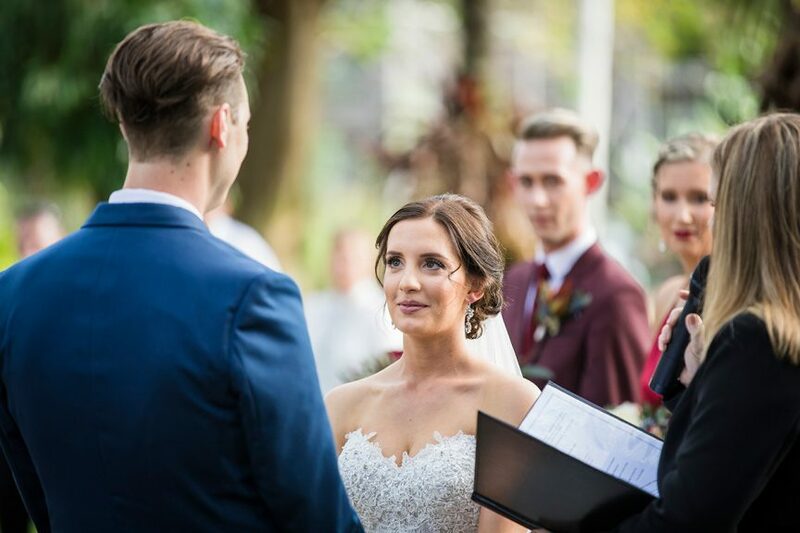 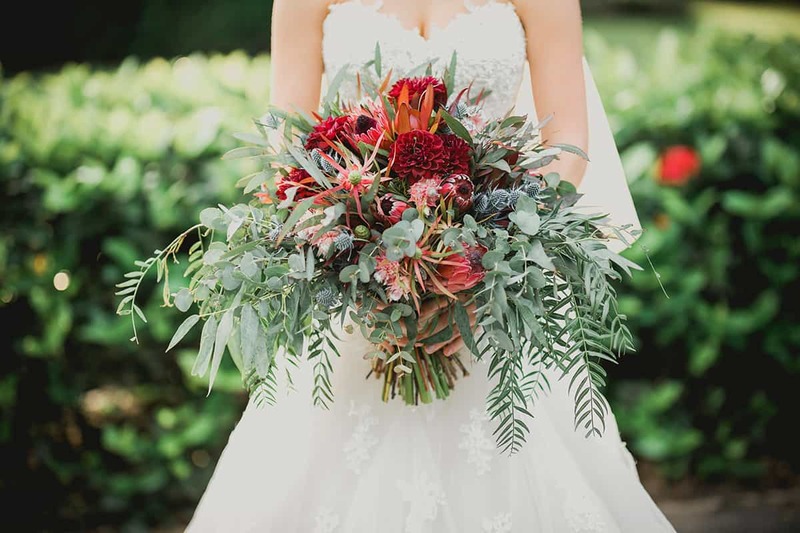 Featuring deep reds and burgundies, the romantic palette looked utterly gorgeous against the fresh greenery of their ceremony location, the heritage-listed Queens Gardens. 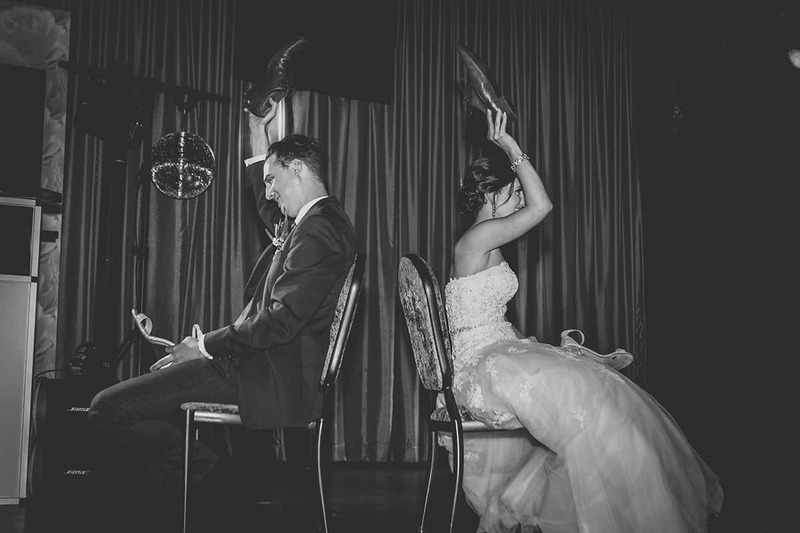 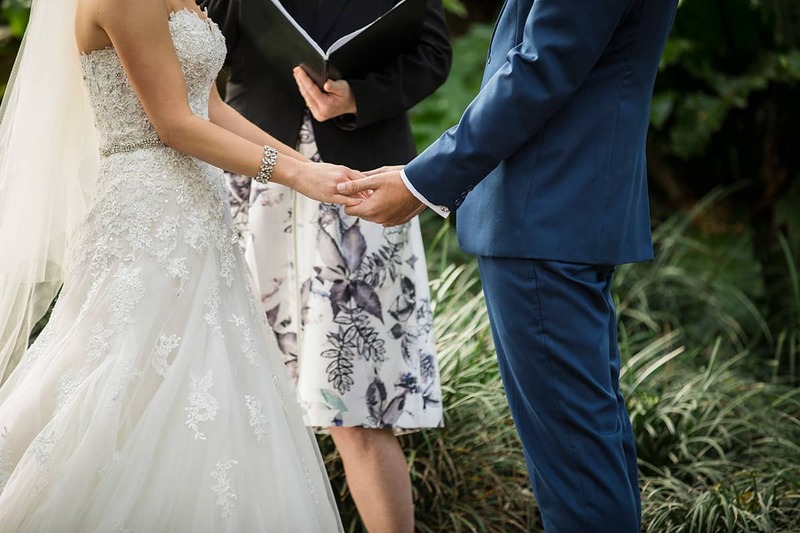 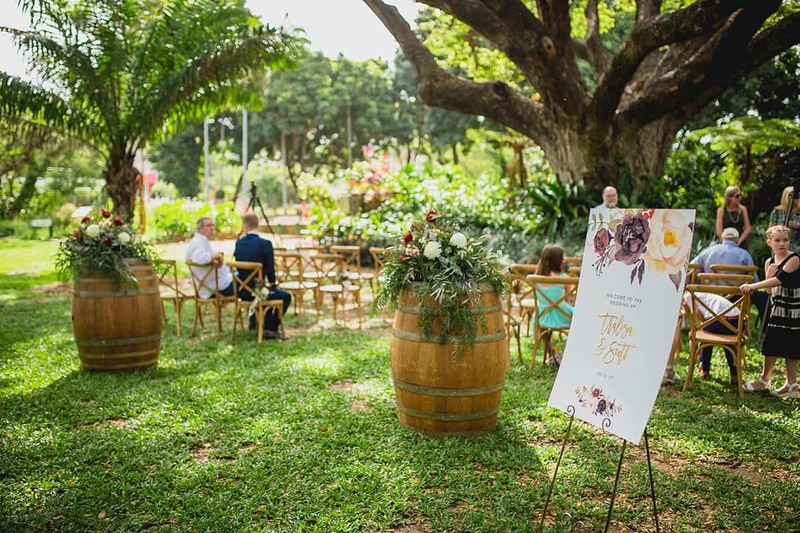 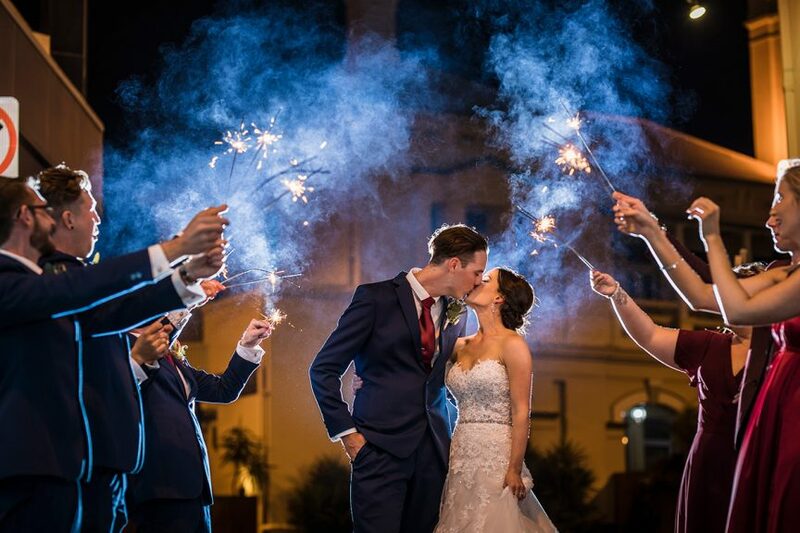 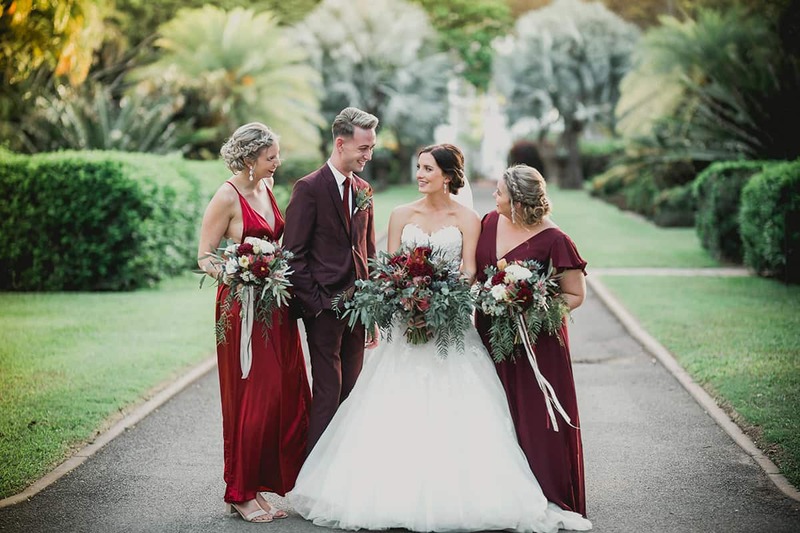 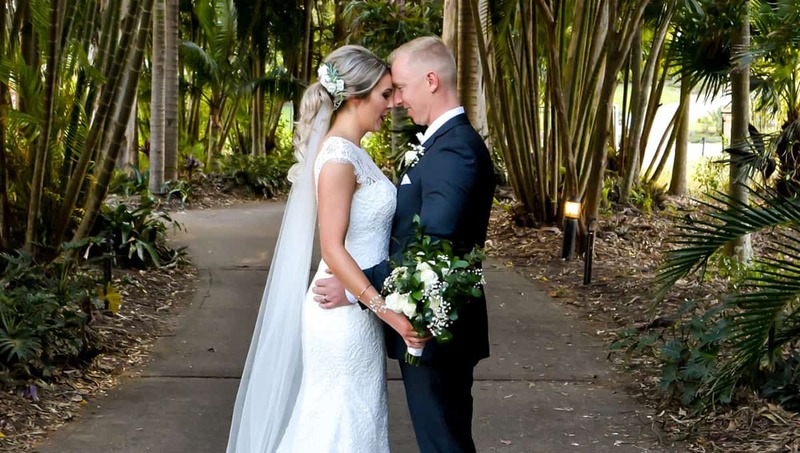 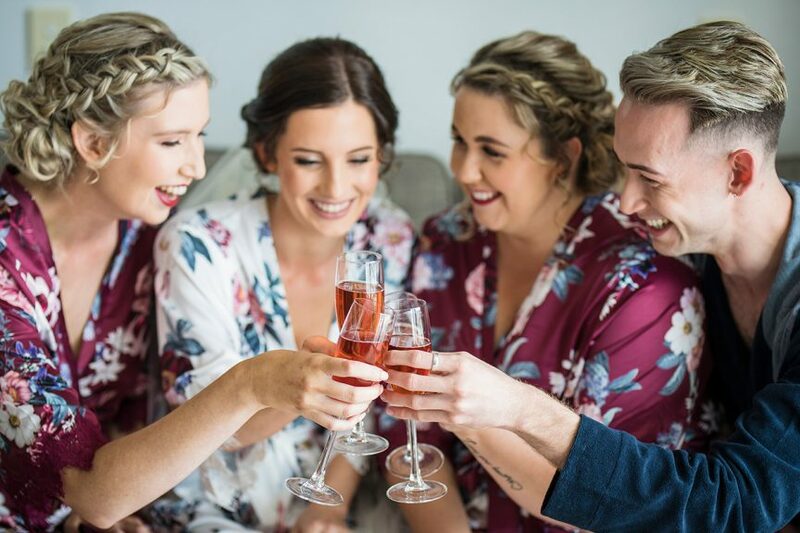 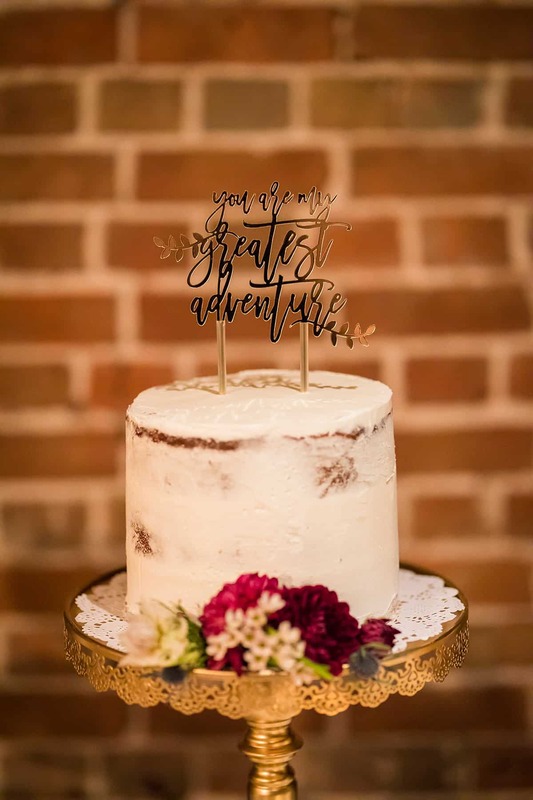 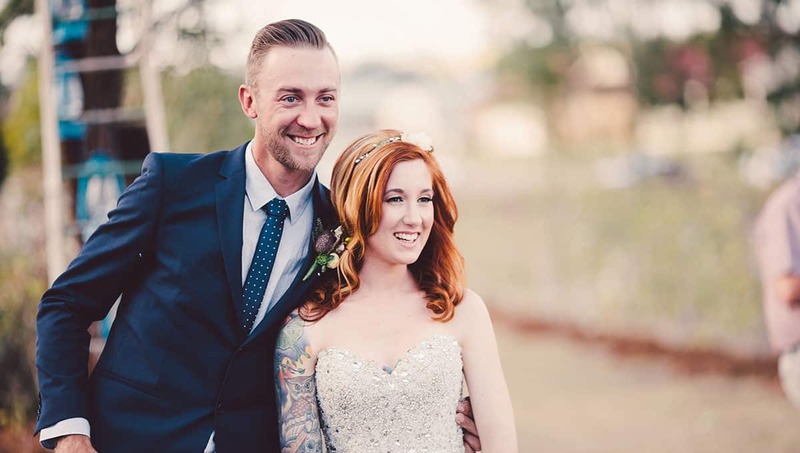 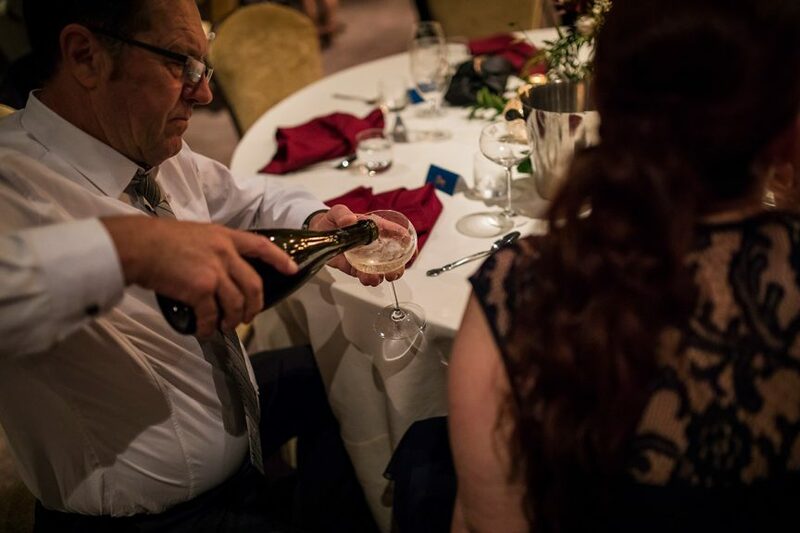 After saying “I do”, the two enjoyed a sunset photo session and partied the night away with guests at the Townsville Brewery’s opulent Banquet Centre. 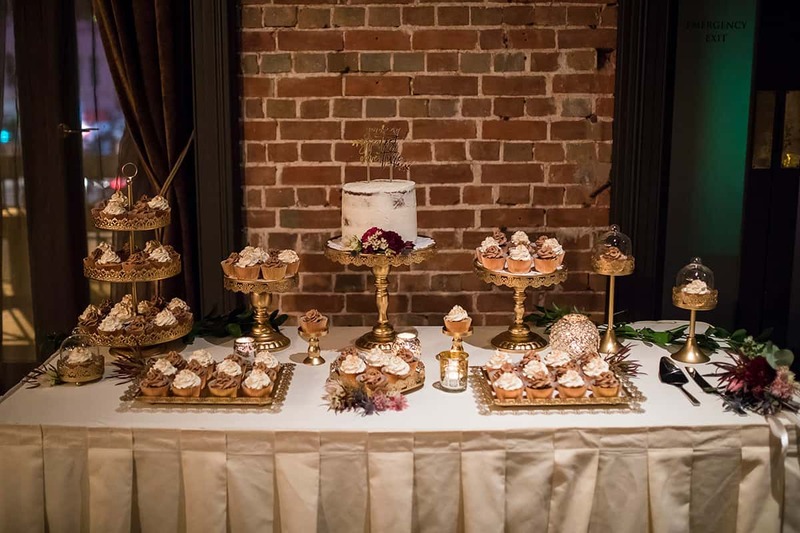 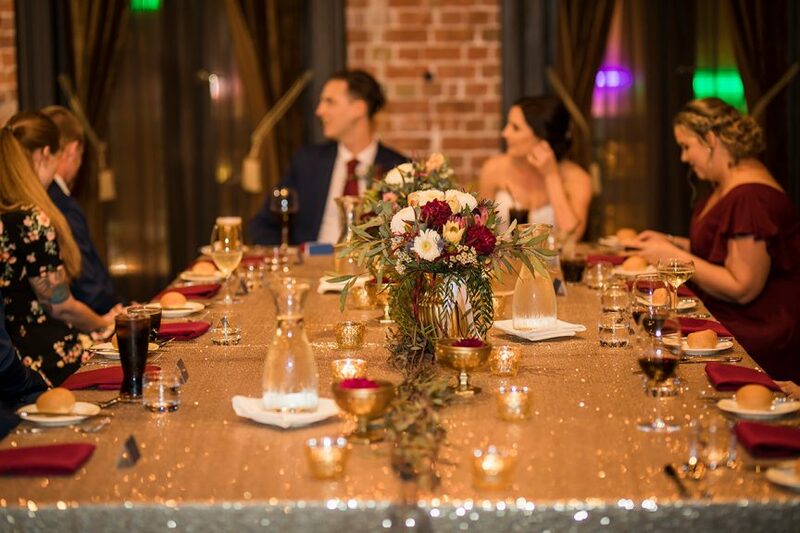 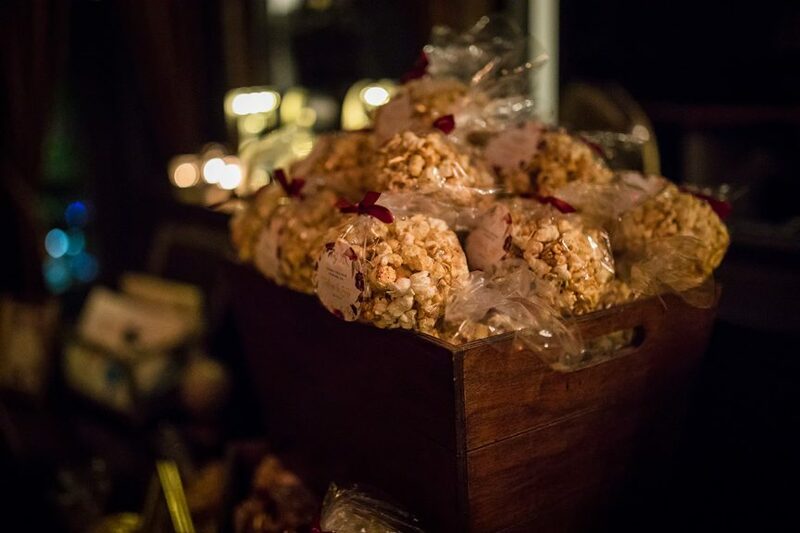 Matching the decadence of the venue, Tralisa and Scott’s dessert table was a hit with loved ones! 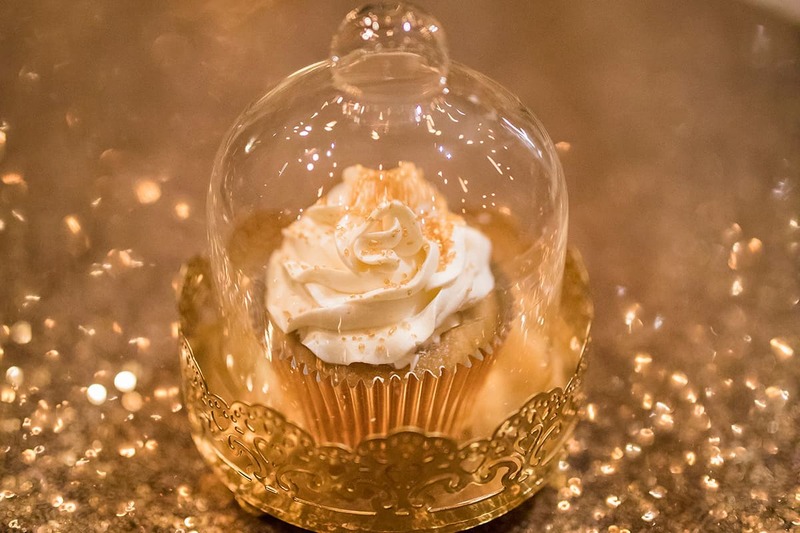 And we can see why – we’ll take one of those sweet domed cupcakes, please.